Portable cleaning solution carts need to be loaded with caustic and acidic cleaning agents. These agents vary in density and pH. 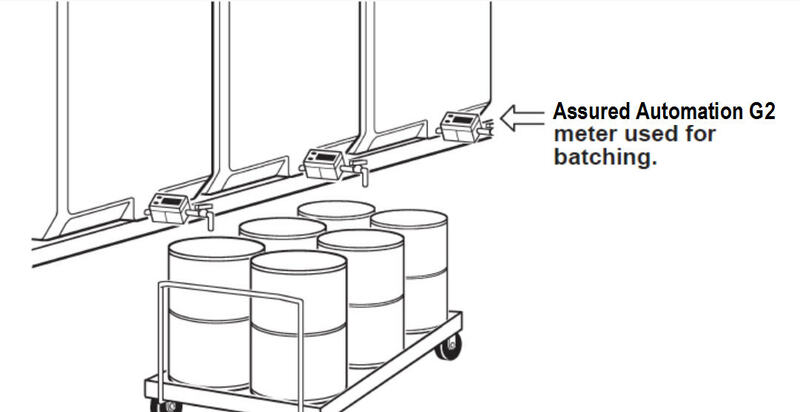 Both batch and continuous total are required when loading the carts with solutions. Choosing the Assured Automation G2 Series Liquid Flow Meter allowed us to monitor batch and continuous totals during batching. The Assured Automation meter is compatible with the variety of cleaning agents used in this process. Portable cleaning solution carts are used to sterilize equipment and process rooms. These carts are loaded with caustic and acidic cleaning agents from large tanks or totes. The cleaning agents vary in density and pH so material compatibility is important. The G2S07N09GMA fits the application and provided a cost savings for the end user. The G2 meter is easy to calibrate to changing ingredients and is simple for the operator to use. This entry was posted in Flow Meter Case Studies, Flow Meters, Latest News and tagged Digital Flow Meters, Digital Water Meters, Flow Meters, G2 Series Industrial Grade Flow Meters. Bookmark the permalink.